Black floral fabric, anyone know where I can buy this? Thread: Black floral fabric, anyone know where I can buy this? 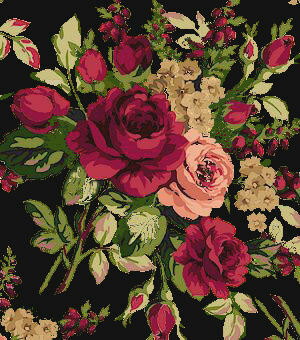 I need 3 or 4 yards of this fabric... it's from 2007 Marcus Brothers "Home for the Holidays" collection. It's a huge floral pattern, with a black background. The large red flower is about 5 inches across. Thanks for any help you can give!!! I love this forum! Last edited by Christine-; 08-15-2013 at 02:18 PM. Sorry. I did my best Googling and found it pictured in several places, but was always sold out or unavailable. I did find the same print with a dark green background, maybe it would work for your purposes? It's listed as "Home for the Holidays II". WOW, that's not it but it'll do just fine! 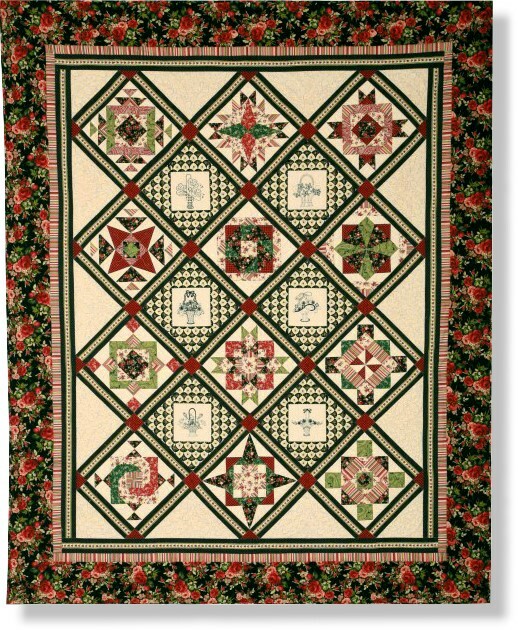 I just got off the phone with the quilt shop, this fabric is from Home for the Holidays II, and it will work beautifully!!! How do I crawl through the forum and enter through your computer to give you a bear hug? You made my whole year. Happy to help. I've spent a lot of time this year trying to find older fabrics that I loved & were almost gone. Ask a question and you will get an answer - ask for a resource and it will be found - this is a great board! Aren't the quilters on this board the absolute best!! What helpful people you all are! I wish I could help as it's gorgeous fabric, but the quilters on QB can do amazing things for one another, like finding certain fabric. I am always impressed at how many people try to help when a question is posed. Sometimes it is just to commiserate but always so positive. Great bunch. I have found, that most quilters are great people. So glad that you were able to find a fabric similar to what you wanted. There always seems to be someone who helps find what people are looking for here! Love the fabric...looks great on your beautiful quilt!!! Wish I could help!! The members on here are the GREATEST!! The board is my go-to for relaxing moments and I learn so much from you all. this piece of generosity and kindness have made my morning. truly. I agree. Our board members are wonderful. The fabric arrived yesterday and I'm so thrilled~! My mom will love this quilt. I've found every fabric I needed for this 2007 BOM. Thank you for the help! I decided to embroider angels for this quilt. I'll add a photo when I get the blocks sewn up.